Casa Kira Studio, annual holiday sale with guest artists. 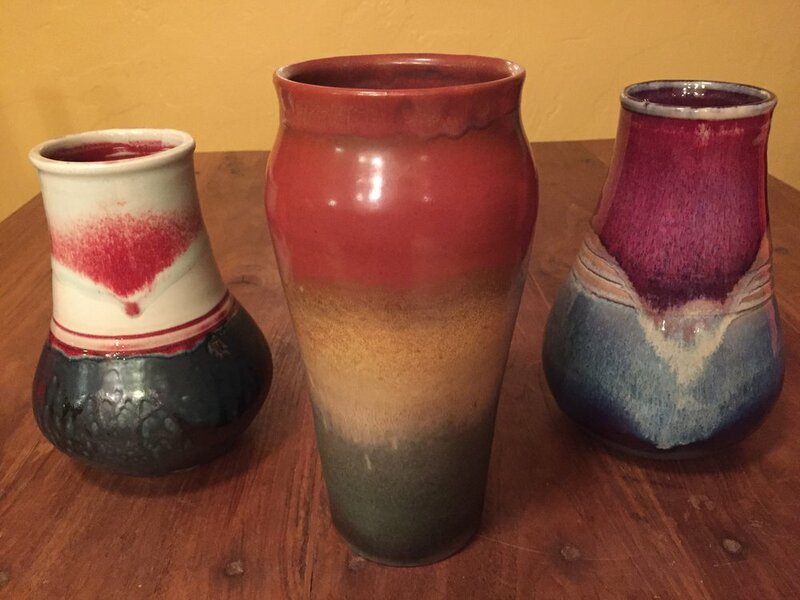 Stuart Goldberg will open his Casita behind the Casa Kira Gallery.His Handcrafted mugs make the perfect gift for those hard to shop for guys on your list. Each one is a unique and one-of-a-kind work of art, guaranteed to become your favorite morning mug. Stuart Goldberg will open his Casita behind the Casa Kira Gallery. His Handcrafted mugs make the perfect gift for those hard to shop for guys on your list. Each one is a unique and one-of-a-kind work of art, guaranteed to become your favorite morning mug. Valerie Evans brings new life to Vintage women’s art, with her up-cycled craft made from old and antique quilts.